To evaluate the risk factors and renal prognosis of acute kidney injury (AKI) in patients with hemolysis, elevated liver enzymes, and low platelet count (HELLP) syndrome. Women with HELLP syndrome over a 15-year period at Peking Union Medical College Hospital, China, were retrospectively studied. A total of 108 patients with HELLP syndrome were included. 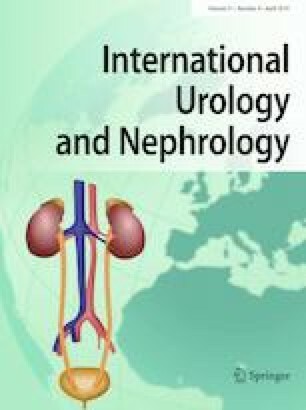 Fifty-two (48.1%) patients were diagnosed with AKI (median serum creatinine, 139.72 µmol/L; range, 89.00–866.00); 11 (21.2%) required hemodialysis. The AKI group had significantly more multiparity (p = 0.034), hemorrhage > 400 mL (p = 0.027), severe systolic hypertension ≥ 160 mmHg (p = 0.005), infection (p < 0.001), and low hemoglobin (p = 0.002) than non-AKI patients. Multivariate logistic regression showed that infection (OR 36.441, 95% CI 3.819–347.732, p = 0.002), severe systolic hypertension (OR 5.295, 95% CI 1.795–15.620, p = 0.003), and low hemoglobin (OR 0.960, 95% CI 0.932–0.988, p = 0.006) were independent risk factors for AKI. Six patients with AKI died (mortality rate: 11.5%); no death occurred among patients without AKI. In addition to infection (OR 16.268, CI 1.334–198.385, p = 0.029) and eclampsia (OR 69.895, CI 2.834–1723.910, p = 0.009), elevated serum creatinine (OR 1.006, CI 1.001–1.011, p = 0.031) was an independent predictor of maternal mortality. Renal function in 43 (82.7%) patients completely recovered. Two (3.8%) patients developed chronic renal dysfunction after 1 to 2 years of follow-up. Elevated creatinine was an independent predictor of maternal mortality in HELLP syndrome. AKI severely affects renal prognosis and mortality in pregnant women. The occurrence of AKI was related to infection, severe hypertension, and renal ischemia. We are indebted to staff from the Department of Gynaecology and Obstetrics at the Peking Union Medical College Hospital for treatment and diagnostic support. We also thank Ellen Knapp, PhD, and Rebecca Tollefson, DVM, from Liwen Bianji, Edanz Group China (http://www.liwenbianji.cn/ac), for editing the English text of drafts of this manuscript. All procedures performed in studies were in accordance with the ethical standards of the Ethics Committee at Peking Union Medical College Hospital and with the 1964 Helsinki Declaration and its later amendments or comparable ethical standards. For this type of study, formal consent is not required.